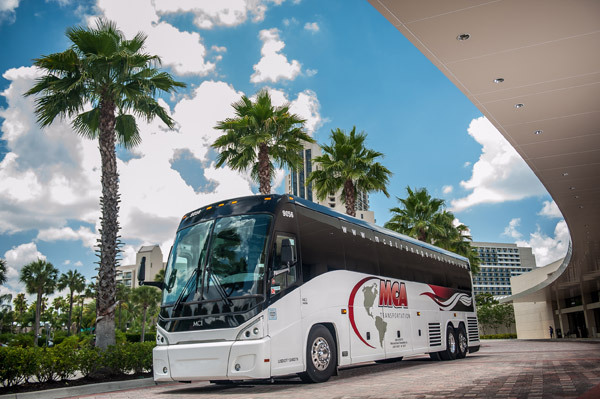 MCA Transportation provides safe, reliable charter bus transportation solutions with our highly trained operators and one of the most modern motorcoach fleets in Florida. Where Would You Like Our Motorcoaches to Take You? Travel with MCA Transportation and be assured that you will be traveling with a company that strives to provide security and quality. Contact us today for more information or to obtain our competitive pricing for your special events. And any other event that you may need group transportation! © Motorcoach Class A Transportation, Inc. All Rights Reserved.